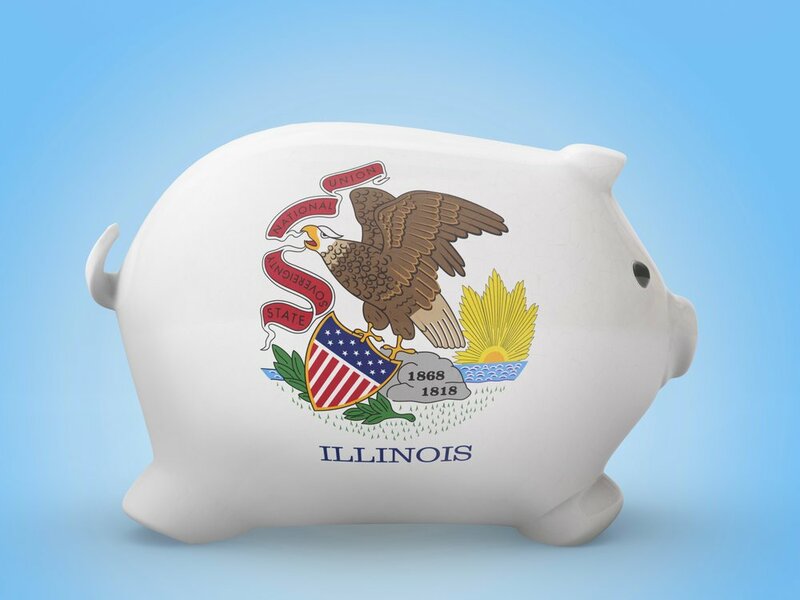 A new study of tax proposals projects Illinois could cut property taxes 10 percent and see the state economy grow $8 billion a year by enacting a progressive income tax. “The Impact of Enacting a Progressive Income Tax in Illinois: Understanding How Illinois Could Cut Middle-Class Taxes, Balance the Budget, and Grow the Economy” was released Monday by the Project for Middle Class Renewal at the University of Illinois at Urbana-Champaign and the Illinois Economic Policy Institute. It examines eight proposals for a graduated income tax, including the “fair tax” put forth by Gov. Pritzker, and finds they would cut taxes or see them stay the same for between two-thirds and 97 percent of taxpayers, raise between $3 billion and $9 billion in revenue, and cut property taxes 10 percent by increasing state funding for public education. It also projects that, by providing relief to low-income and middle-class taxpayers, a progressive income tax would create between 10,000 and 75,000 jobs and grow the state economy by up to $8 billion a year. The study says the state’s current flat tax rate of 4.95 percent places an unfair burden on working families and is not competitive with the graduated income tax in neighboring states and 33 states overall. It blames the flat tax in part for the state’s drop in population, stating: “Low-income and middle-class families also pay a significantly higher share of their incomes in taxes than their peers in the neighboring states of Iowa, Wisconsin, and Minnesota, while Illinois’s most affluent families pay less than neighboring states.” It cites data showing that low- and middle-income earners have actually seen their pay drop, accounting for inflation, since 2000, while top earners have seen income rise 35 percent. Pritzker has made the case that it’s not fair that a billionaire like him pays the same tax rate as low- and middle-income taxpayers, and the study echoes that. It points out that “low-income and middle-class families in Illinois currently contribute almost double the share of their income in state and local taxes than the state’s top 1 percent.” According to the data, low-income families pay 14.4 percent of their income to state taxes, middle-class families 12.6 percent, and the top 1 percent of wage earners just 7.4 percent. It emphasizes that only worsens income inequality in Illinois. The study cites that Illinois homeowners pay an average of $5,200 a year in property taxes, among the highest figures in the nation. It projects that a progressive income tax could raise $2.5 billion in additional funding for public education, enabling local governments to cut property taxes by as much as 10 percent. In addition, because low-income and middle-class residents are more likely to spend a tax windfall, it would have an exponential effect on growing the state economy. The study backs the Pritzker administration’s claim that his “fair tax” would cut taxes or leave them the same for 97 percent of Illinois taxpayers. It also praises the accompanying reforms to raise the property-tax credit from 5 to 6 percent and introduce a child tax credit for low-income and middle-class families. It did estimate total increased revenue from the tax at $3.1 billion, lower than the $3.4 billion the Governor’s Office projected. Pritzker spokeswoman Emily Bittner explained that the administration was using more recent tax data than the study did, as well as a projection for the 2021 tax year — the earliest it could be implemented — while the study worked from 2018 tax data. In general, the study supports the complicated and protracted process to change the state constitution to allow for a graduated income tax, which will require “supermajority” votes of 60 percent from the General Assembly and from voters in the next general election next year. But that movement has met resistance from big business and conservative anti-tax groups.